Elijah Plymesser has been working on issues of neighborhood revitalization and community engagement for the past seven years in and around the Boston-area. 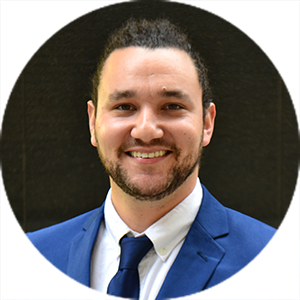 Prior to joining the LOCUS team, Elijah worked with Boston-based planning and engineering firm, Howard Stein Hudson, as Public Involvement Specialist where he managed community engagement on large transportation infrastructure projects. Elijah previously worked with affordable-housing developer The Neighborhood Developers, Inc. as their Neighborhood Revitalization Manager working on grassroots neighborhood improvement projects spanning: public art & beautification, greenspace improvement and active-living interventions, and small business technical assistance. He is very excited to lend his experience helping communities create equitable futures for their built environments to the goals of Smart Growth America. Elijah holds a certificate in Non-Profit Management from Boston University’s Questrom School of Business where he served as a Community Fellow with the Institute for Non-Profit Practice and a certificate in Urban Planning from Harvard’s Graduate School of Design. Elijah has also studied and traveled extensively around the Middle East and was first introduced to participatory planning in the Bedouin villages of Southern Israel, Egypt, and Jordan, where he conducted field research while a graduate student at Ben-Gurion University’s Department of Politics and Government. He is a graduate of Brandeis University’s Class of 2010 with a dual-degree in International Relations and Middle East Studies. Originally hailing from Kentucky, Elijah has been a lover of New England’s cities and towns since 2006 and continues to find ways to take advantage of all that the region has to offer; he is an inveterate traveller and will gladly take you kayaking. Elijah can be reached at eplymesser [at] locusdevelopers [dot] org.